164 cadets from Regular Commissioning Course 151 Commissioned on 11th December on a cold, overcast but mercifully dry day. 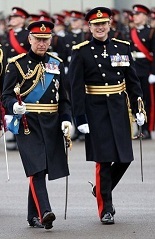 The Sovereign’s representative was His Royal Highness The Prince of Wales, KG, KT, GCB, OM, AK, QSO, PC, ADC. 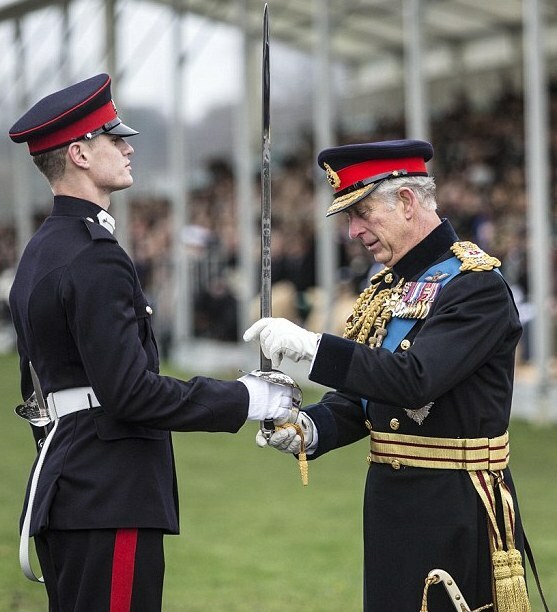 SUO T H W Griffiths (Parachute Regiment) was awarded the Sword of Honour, O/Cdt Ismail Hoxha from Kosovo, the Overseas Sword and JUO J N Robson (Parachute Regiment) the Queen’s Medal. Music was provided by the band of The King’s Division. “You are receiving your commissions as officers at a moment when the profession of arms is moving into uncharted waters. Pillars of the international order are under challenge as never before in my lifetime. At the same time, a cult of death and destruction is defiling ancient lands and seducing a frightening number of lost young people. In the face of such challenges, Britain’s traditional qualities – fair play, civility, a sense of humour in adversity – remain as precious as they’ve always been. We live in an increasingly technological age. Technology is becoming ever more sophisticated, and accessible, and is being used more often to attack rather than defend. The harder it becomes to stop people determined to maim and kill, the more urgent becomes our need to understand and defuse their perverse determination. To do so demands not just technology, but human skills. The British have always excelled at understanding the human factor in world affairs. Though in the popular imagination the British may be best known for the stiff upper lip, they have long displayed an exceptional capacity for empathising with the sorrows and joys, the hopes and fears, the faiths and cultures of others. The historical British capacity for empathy is all the more remarkable given that the United Kingdom is geographically isolated from the European mainland. Today we are no longer isolated. The United Kingdom has become an extraordinarily cosmopolitan society and our diversity matches our ability to understand the perspectives of people from varied backgrounds. People raised here are everywhere and people from everywhere are here. Our people, our sorrows, our hopes are the world’s, and the world’s are ours. You all know this, because you have lived it here at Sandhurst, where twenty percent of the cadets come from countries other than the United Kingdom. From your own experience, you know that our allies are those men and women in every corner of the world, from every culture and of every religion, who share the belief that each human being should have an opportunity to realise their potential, whilst respecting the right for others to do the same. You will all go on to do specialised training, but none of the specialised knowledge you acquire will overshadow the importance of what you have learned at Sandhurst – the understanding of what moves men and women and how you can bring out the best in them, whether they are above, below or beside you. I believe that there are men and women on parade today who will confront trials as great as any faced by our forebears who carried us through two world wars. I have every confidence that you will rise to the challenges that you will encounter, not only with the humbling courage they displayed, but with the courageous humility that success in our globalised world demands. With your help, civilisation - based on mutual respect for people’s right to be themselves - will not merely survive, it will prevail. Amongst the many visitors to the academy was the French Military Academy St Cyr rugby team who received a guided tour of RMAS from The Trust volunteer guides. The RMAS team won the rugby fixture but lost dismally in the post-match singing contest even being bettered in a rendition of ‘swing low sweet chariot’.